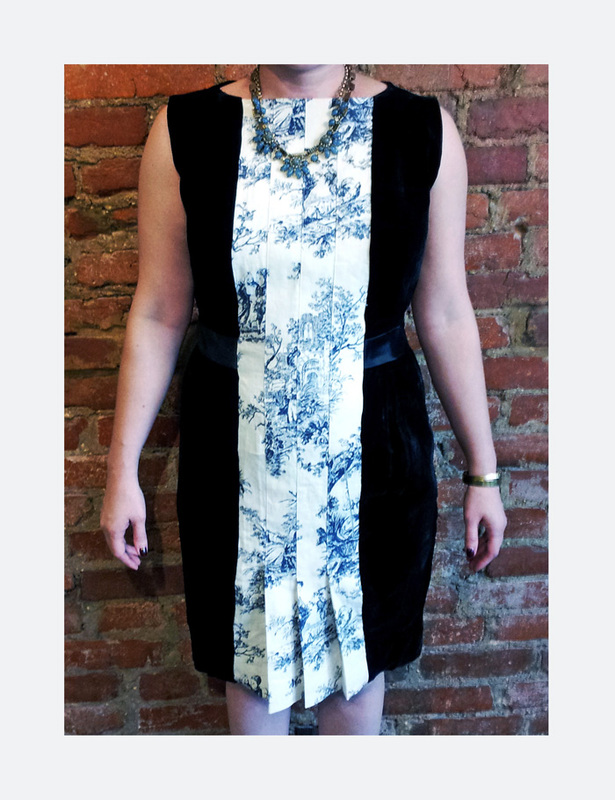 What do you do when you find an amazing vintage dress, but it is just way too small? Well, here’s a good example! 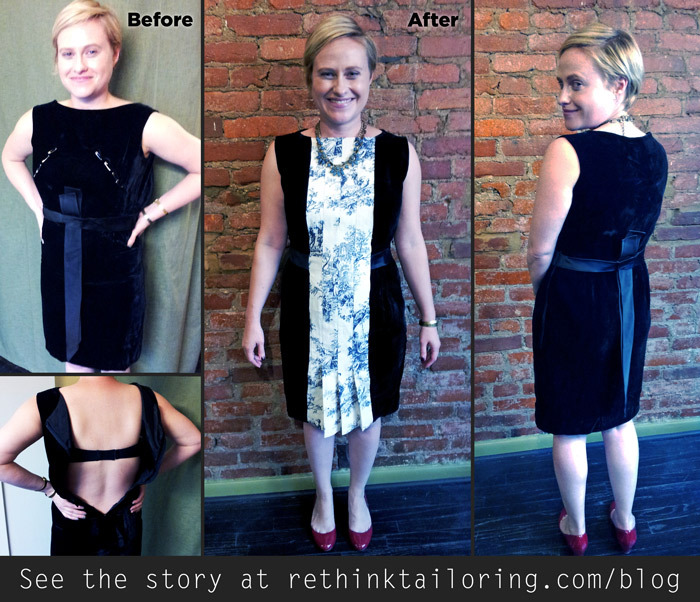 We flipped Julie’s dress backwards and added a new front panel to add to the design, but add to the inches as well. See what else we did to the dress here.